Anthropologie is one of my favorite stores, so when I heard about a new show called Man Shops Globe on the Sundance Channel I knew I’d be interested. The show follows Anthropolgie’s buyer/explorer Keith Johnson around the globe as he shops for neat furniture and art for the retail locations. He’s an energetic and extremely passionate man who craves browsing around antique shops and markets all around the world. 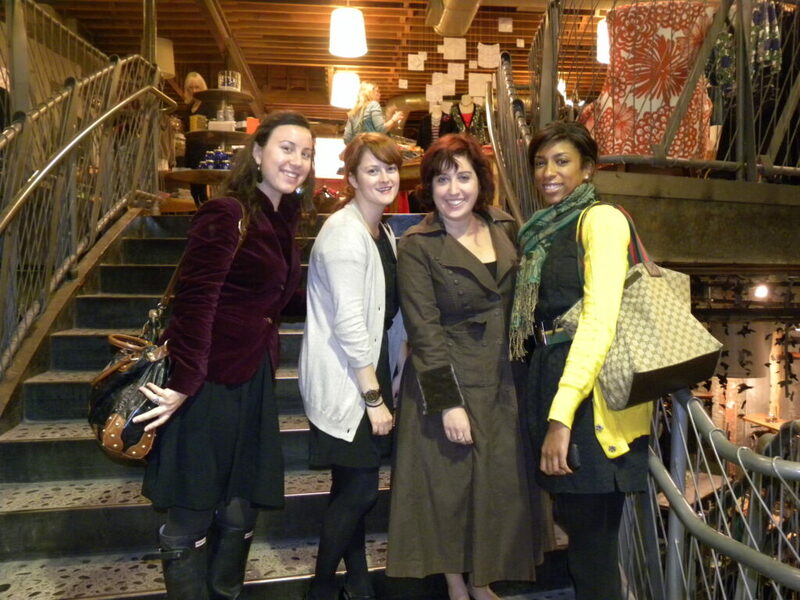 A while back my friend and old co-worker, Melanie, emailed me, along with a couple other old co-workers, and invited us to an event Anthropologie on Boylston Street was hosting to celebrate the debut of Man Shops Globe. I immediately added it to my calender because I knew it was something I would really enjoy. So, last Tuesday evening we all met at the store and it was a ton of fun. 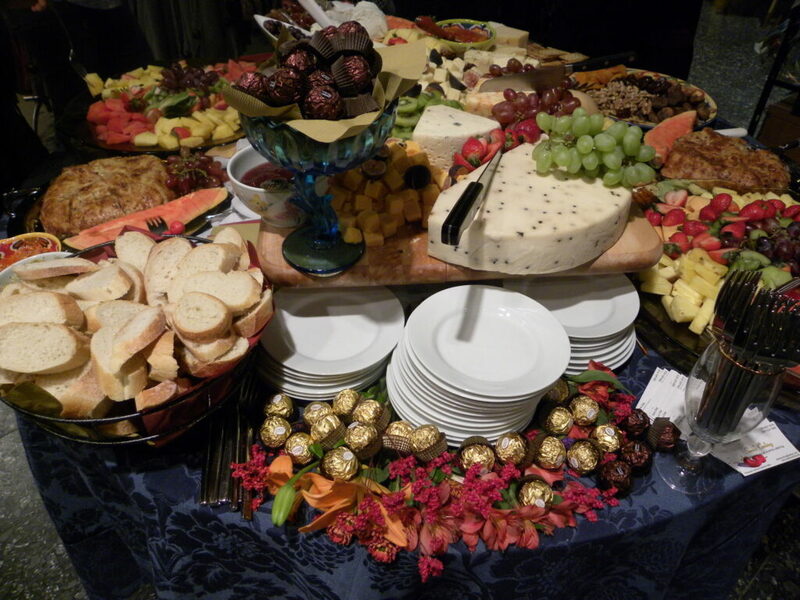 They had closed the store early that evening for the special event and had a wonderful spread of fruits, cheeses, breads, chocolates and jams for all of us. 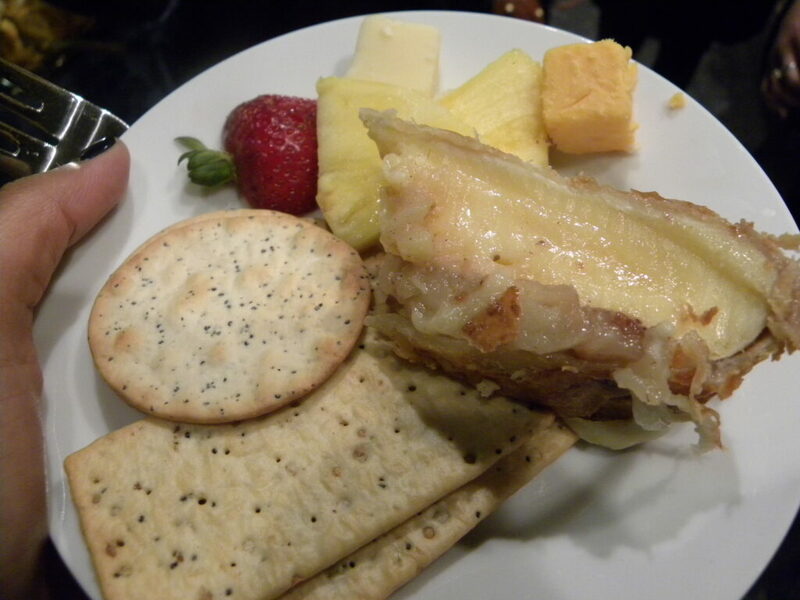 One of my favorites was the baked brie with apple… tasted like apple pie and was DEEEElicious! They also offered some wine, Stella Artois beer (the show is presented by Stella), and sparkling water. 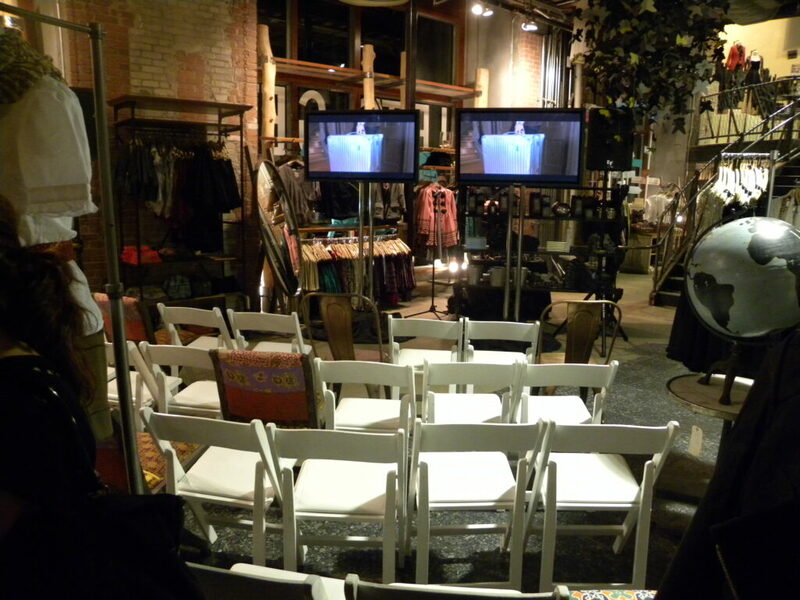 The setup was great, with two flat screen televisions in the middle of the store for us to preview the first episode. 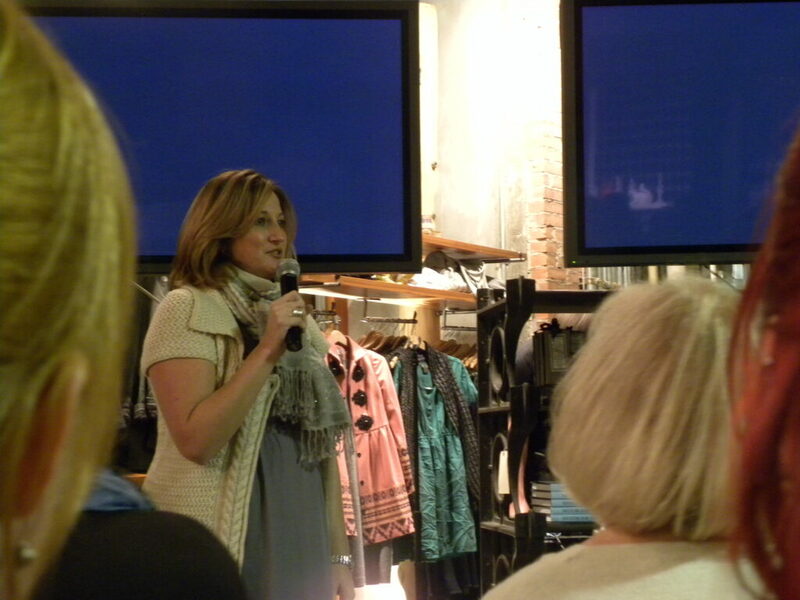 The district manager of Anthro New England was also there and introduced the show before the episode aired, which was beyond interesting to me. I really have a “thing” for browsing little antique shops while I’m away on vacation and I also LOVE salvage yards, although I rarely buy anything… since I need a house or spacious studio to store everything in ;)! One of our assignments in a sculpture class I took in college was to go to a salvage yard and find objects to use in a project. I spent forever in there and was so interested in every little odd piece. There’s something about searching and exploring to find a piece that takes real creativity to work in a space that gives my the chills! 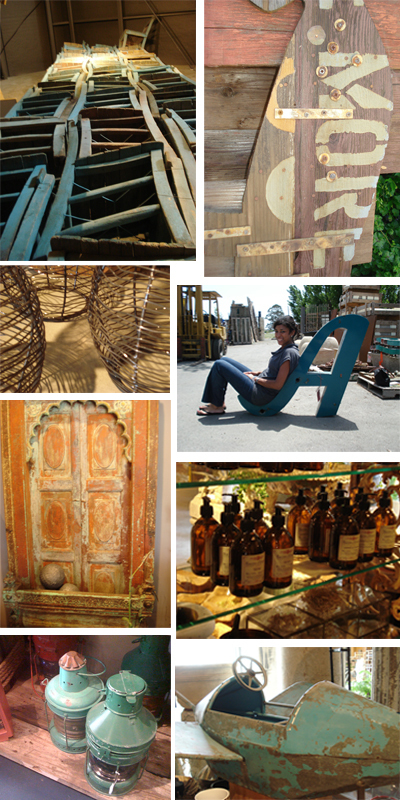 Last year, while I was in San Fran, my friend and I took a drive up to Sonoma to do wine tastings and ended up visiting an antique-y salvage yard type shop and I found some really great pieces. We spent HOURS in there and realized we hadn’t visited a single winery yet, so we got a move on 😉 Below are some of my finds, one of my favorites is the blue “A” (first letter of my last name!) which I reallyyyy wanted to take home with me, but honestly, had no where to put it in my apartment! The turquoise lanterns on the bottom left were from an antique shop in St. Augustine. And the top left is a beautiful stack of turquoise chairs! Man Shops Globe airs Wednesdays at 10pm on The Sundance Channel. I consider New York to be my second home. My dad grew up there, I have family there, and my sister and I spent every summer and most school vacations at our grandmother’s house in the city. Naturally, as I got older the schedule got more hectic, got a job and all of that “good” stuff. A few weeks ago I was thinking I hadn’t been to the city in about a year! So I called my grandmother and told her I was coming to visit! Last Wednesday, I drove down and spent the week and part of the weekend with my grandmother, just doing errands and shopping, cooking, watching tv and chatting. It was perfect and just what I needed. Sometimes things can feel so uncertain and not stable, so it was great to go somewhere that hasn’t changed at all and spend time with someone who is still the same. It was very comfortable. She lives right across from Yankee Stadium, which I always thought was really cool. 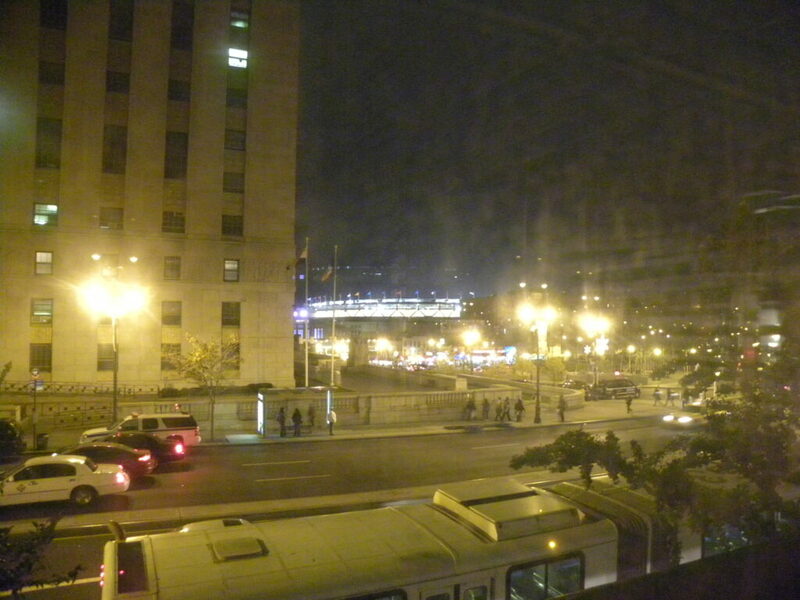 With the new Stadium finished, you can see it right from her window… it was so bizarre, and though I’m not a Yankees fan (nor am I a complete hater) I kept starring out to look at it! I’m kind of the biggest dork in the world, but when I opened the silverware drawer and saw that my Disney utensils that I used when I was a baby were still there, I had the biggest smile on my face…. GEEK ALERT!!! My grandmother also gave me a small and gorgeous vintage Reuge clock. It’s the prettiest shade of yellow/gold and I’m using it as inspiration for a little project I’m working on at my apartment… more on the project (and a photo of the clock) to come soon! 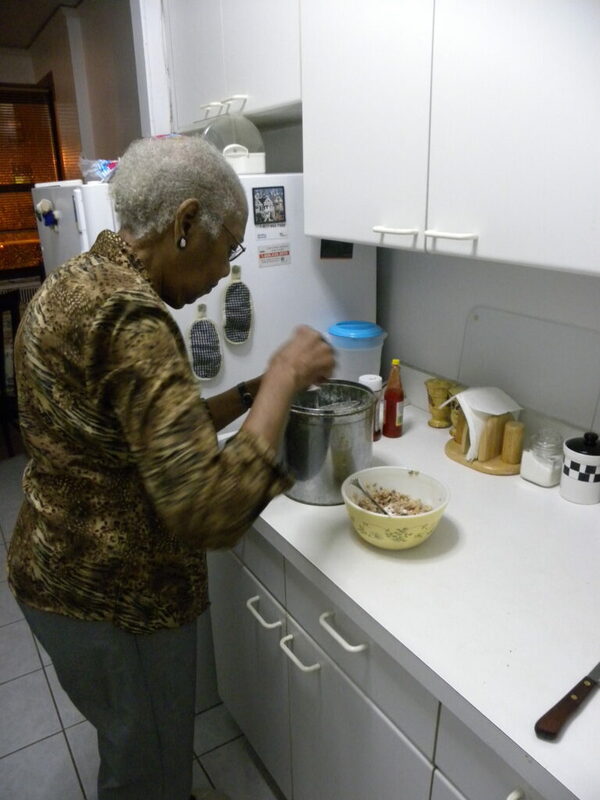 Love, love, love my grandmother and NYC. Can’t wait to go back… the joys of having an “alternative work schedule” are in full effect! 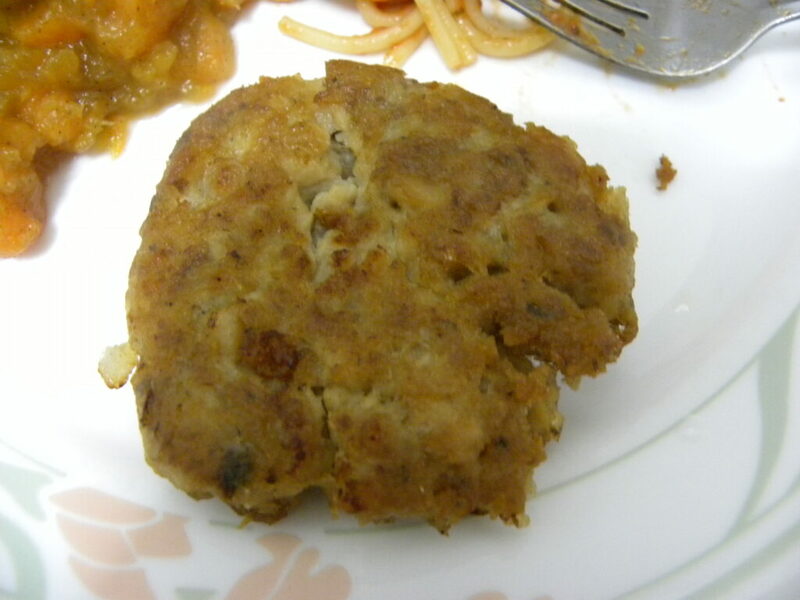 11 Responses to "Chels’ Favorite Things #9"
Oh so cute…the pics of your grandma and her cooking abilities! I love visiting my grams. Sounds like a great weekend. I love salvage yard-type stores too!! There was one I visited in Austin that I only left because they were closing for the day (they had to find me in one of the rooms and kick me out). Do you know of any cool places like that around here? Awww — what a fabulous week! I’m ready to lick that picture of grandma’s pancakes and grits! I also discovered Man Shops Globe is OnDemand even for those of us who don’t get the Sundance Channel — yay!! I love getting together with old friends. 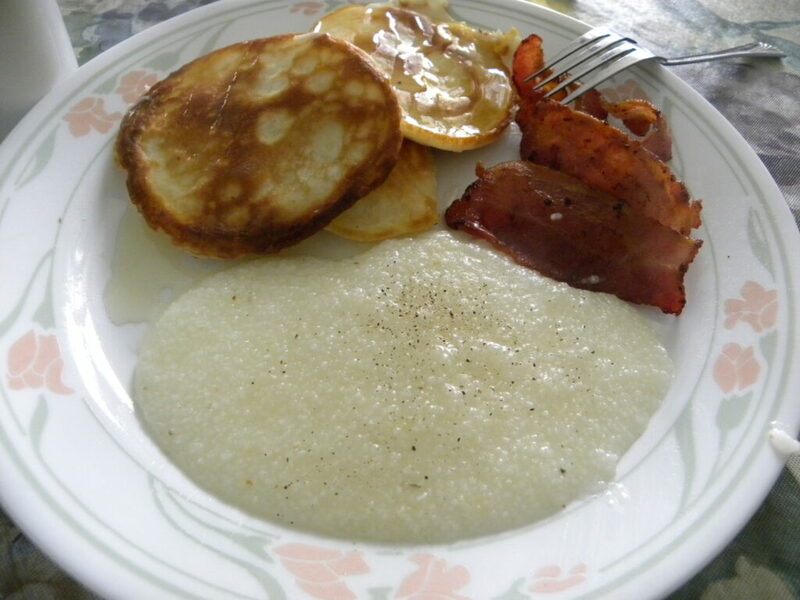 I was just thinking bout grits last night after watching Madea’s Family Reunion, I really want breakfast food. aww what a nice picture of the three of you! your grandmother is so adorable! also i wanted to say good luck to my two favorite bloggers, can’t wait to hear about your adventure!!! Awww! 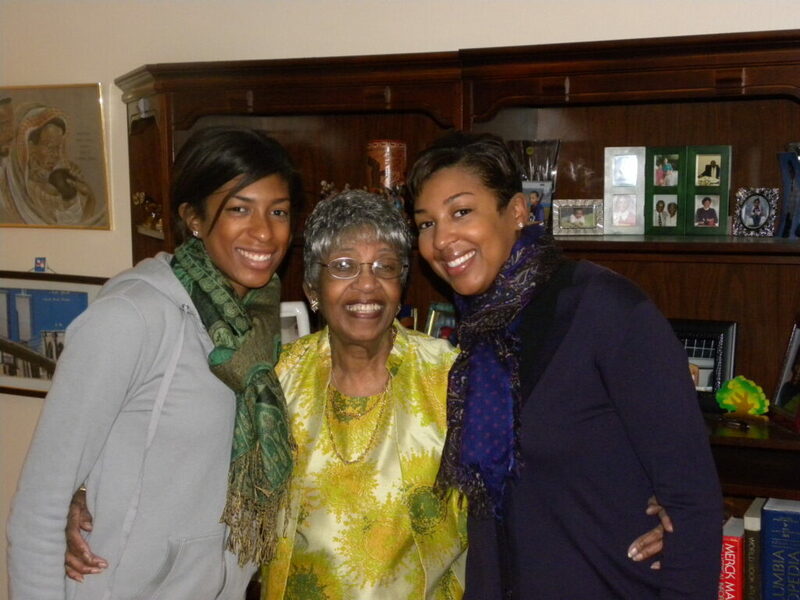 Grandma is totally my #1 Favorite thing- which I guess means she and Ab are tied for first place…;) She is adorable! Glad we got to have a photo opp before you left! Seriously also wanted to lick the picture of the pancakes and grits. Thats probably my #11/2 favorite thing…ps, way to make me cry at work buddy! Sidenote…Chelsee is also one of my favorite people! MY FAVORITE sister in fact! We fight like cats and dogs sometimes, and she’s been known to steam the food off of my plate, HOWEVER….I still love her to death! i have the exact same disney silverware at my parents house! 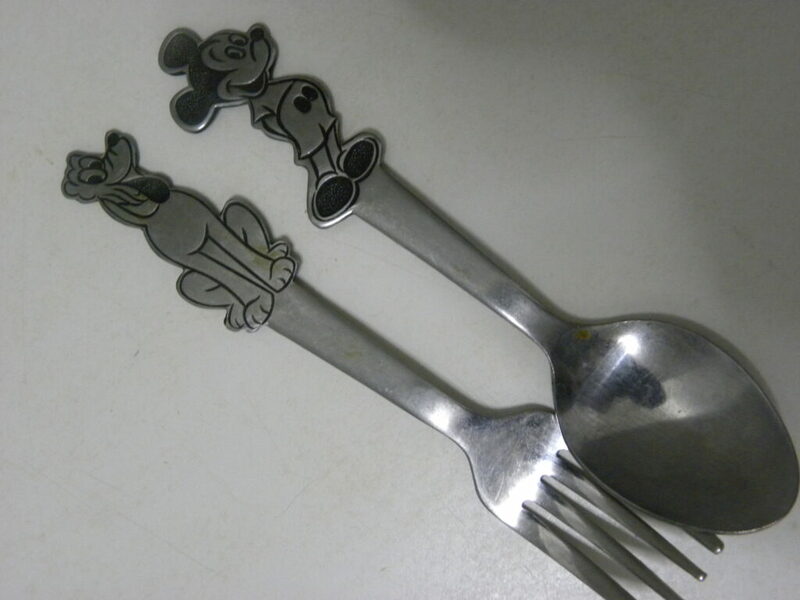 occasionally, i still eat with my minnie fork!